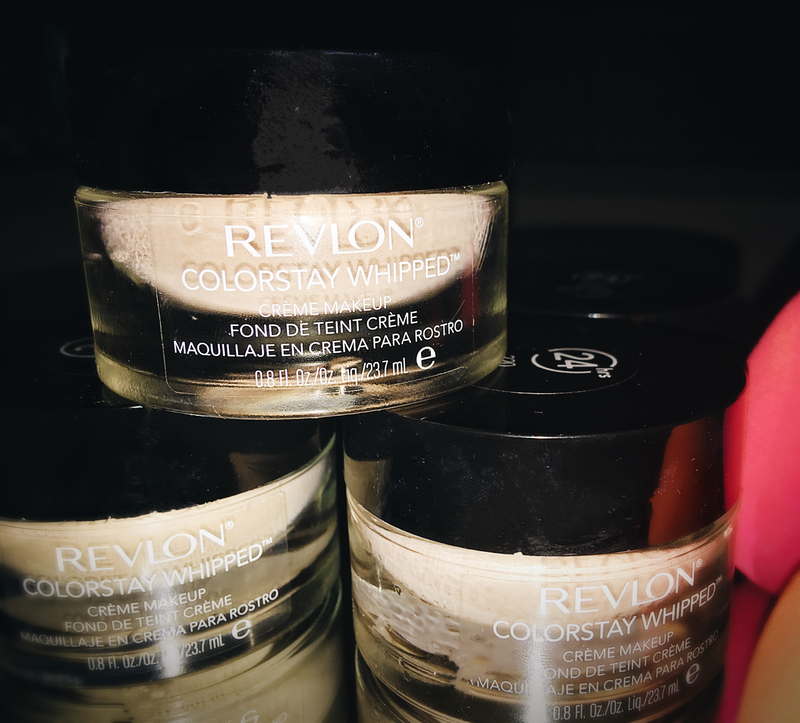 Revlon Colorstay Whipped Crème™ Makeup – Could This Be Your HG Foundation? 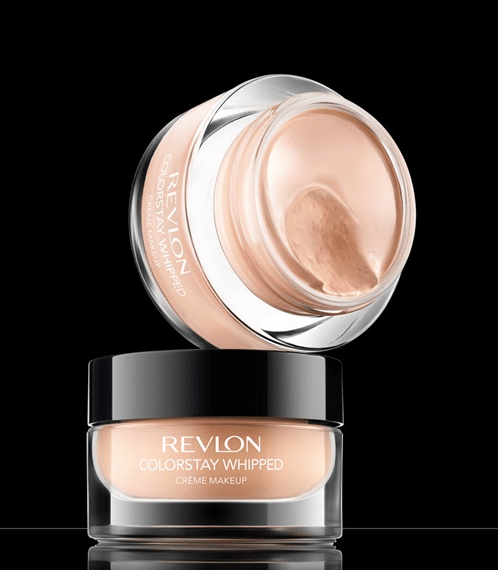 Revlon Colorstay Whipped™ Crème Makeup is one of the line’s mainstays and one of Revlon’s few foundations not reformulated in recent years. That’s a good thing because this a great medium-full coverage cream foundation without sunscreen for those with normal, combination, slightly dry to slightly oily skin. Price: Varies by store. Walmart offers most colors for around $11 for an 0.8 fluid oz. jar. Some shades cost a little more and are only sold only with shipping fees upwards of $5. ULTA and many drugstores (CVS, Walgreens etc.) sell this foundation for $15, but these vendors frequently offer Buy One, Get One 50% Off deals on Revlon products (which translates to 25% off or $11.25 each when you purchase two or more). Color Range: Revlon markets 12 shades from the very light “Ivory” which has a neutral yellow undertone to deepish “Caramel” which has a more warm reddish undertones. However, most major retailers – ULTA, CVS, Walmart to name a few – carry only 8 of the 12 shades in stores. And different retailers tend to stock different colors. That’s either good news or a giant hassle based on your color needs and shade availability in your area. The good news is that drugstores and large discount retailers like Walmart have return policies almost as lenient as Sephora’s (generally allowing you to return opened/used products within 90 days of purchase with a valid receipt), so you can usually exchange it, provided you can find a suitable color match. The color range is mostly neutral. The deeper colors are not all that dark, or at least they don’t appear to be online. Unfortunately, most retailer don’t carry the darkest shades in store which is disappointing because shipping can be expensive due to the heavy glass jar packaging (more on that below). I’ve actually purchased 4 different shades and find my skin varies from 200 to 250 depending on the season, and shade 150 works very well as cream highlight. Application: This foundation is (as you might expect) thick and creamy. Revlon describes this as a “bouncy, whipped” formula with a “mousse-like texture that feels like silk on your skin.” I wouldn’t expect an airy whipped cream texture because it’s definitely thicker than that. And it’s heavier and creamier than the mousse that you use in your hair. But it does feel silky, with enough “play time” to allow you to blend it in without steaks. 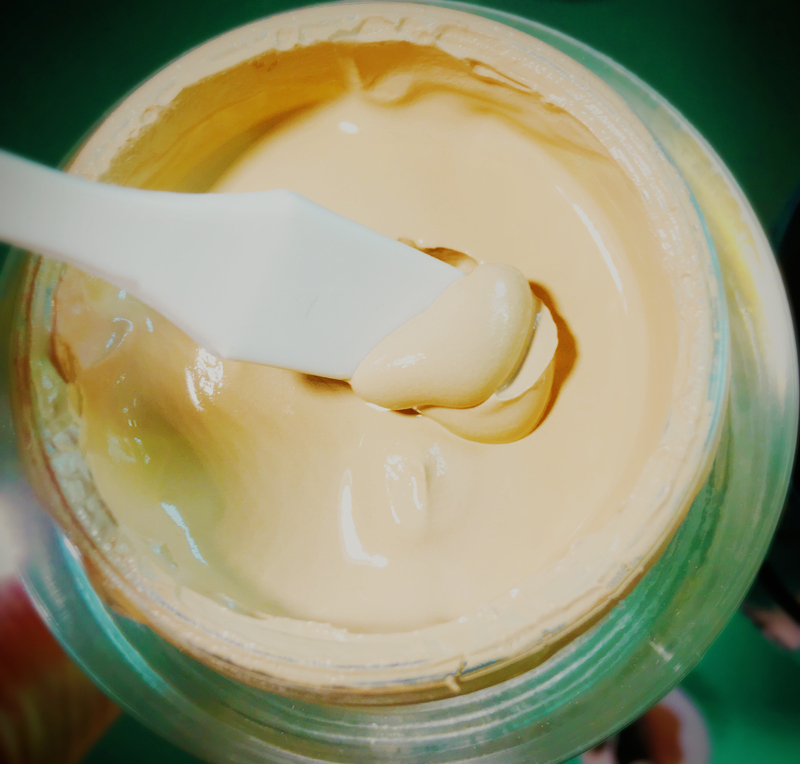 Because this foundation is packaged in a jar, you’ll need to use clean hands every time you apply this foundation and/or be sure to use a clean brush or sponge each time you dip into the jar. Otherwise you risk contaminating the product and creating a breeding ground for bacteria or other contaminants that could ruin the foundation (or worse) cause acne, breakouts or other skin reactions. So, be careful. Coverage: A thin layer, applied with your finger or a damp BeautyBlender-type sponge yields moderate coverage with an attractive (though slight) luminescence and skin-like finish. Two layers will get you fuller (not quite “full”) coverage and a finish similar to the Kat Von D Lock-It Foundation or Tarte’s Amazonian Clay 12-Hour Full Coverage Foundation. Texture + Finish: Revlon claims this foundation has a “mousse-like texture feels like silk,” on your skin and the time release formula balances skin for a flawless look. Revlon also promises that their Colorstay Whipped™ Crème is capable of self-adjusting to your skin’s needs, magically balancing out any dry or oily patches for a perfectly flawless look. Yeah, no foundation is capable of doing that. This one looks good on your skin as long as you’ve taken the time to prep your skin first. Despite Revlon claims Whipped™ Crème “never looks cakey,” if you pile on too many layers, it can look slightly cakey. Even then it can be sheered out with a damp sponge and a spritz of moisturizing setting spray. Wear: Continuing with Revlon’s amazing claims for this product, they promise an astonishing 24-hour wear-time for this foundation. First of all, barring some major disaster or unforeseen event, nobody should be wearing their makeup for 24-hours straight. That said, this stuff will not last for 24 hours anyway. It breaks on me (at least) after about 10 hours, even with a great primer and periodic touch-ups. But that isn’t a deal-breaker. The best makeups require touch-ups because the skin on our faces is always producing oil; shedding skin cells. We sweat; talk on the phone and smudge makeup off. Whatever. Life happens. With realistic expectations, this foundation wears as long as some of the most expensive products with similar formulations. 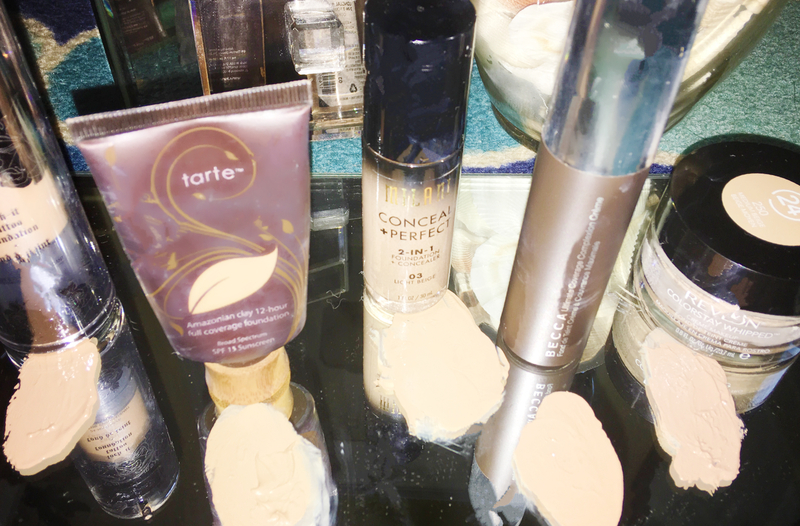 All matte, liquid foundations (e.g. Chanel Perfection Lumière Velvet SPF 15) will always last the longest and perform the best in high humidity, but those foundations also have the greatest likelihood of emphasizing wrinkles, fine lines, etc. Skin Beneficial Ingredients: This product does contain several emollient and skin-beneficial ingredients. Among them – Glycerin (skin replinisher), Tocopherol (Vitamin E), Hyaluronic Acid (emollient), Silk protein (may have antioxidant properties). The Vitamin E and Silk protein’s antioxidant properties will lose efficacy after a few weeks of regular usage due to product’s packaging. The sodium hyaluronate may eventually lose efficacy as well. The emollients will not be affected unless the product becomes contaminated as described above. Revlon chose to house this foundation in a (very) heavy glass jar. Jar packaging is not my favorite due to sanitary concerns and because jar packaging means repeatedly exposing product ingredients to air, thereby decreasing effectiveness of fragile ingredients like antioxidants, etc. 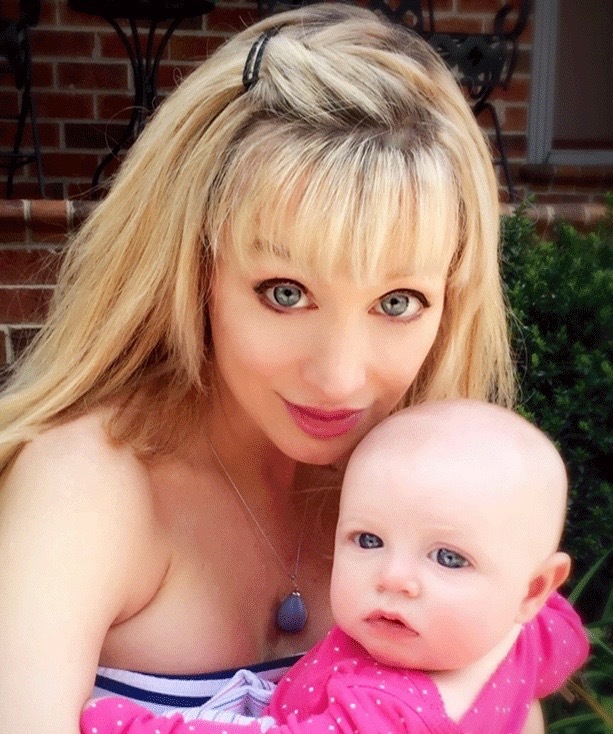 But I don’t usually rely on foundation for antioxidant or skin treating ingredients. Typically I applies those things as part of of my skin care regimen prior to applying my makeup. The heavy glass jar means you won’t want to carry this in your purse. So using it for touch-ups is out. And the absence of sunscreen means you’ll want to apply a broad spectrum sunscreen (preferably one that includes some antioxidants and skin-identical ingredients like ceramides, niacinamide, etc.) of at least SPF30 before applying this foundation. Find the full list of ingredients here. To read more about the problems caused by jar packaging, see note below excerpted from this review at Beautypedia.com. Summary: This is a great bargain for your beauty dollars and all-around wise purchase if you have normal, combo, or slightly dry to slightly oily skin and you’re looking for a medium to almost full coverage foundation with an attractive skin-like finish. This one comes in a wide array (for drugstore foundations) of neutral shades, but most retailers do not carry the full range of color option. The absence of sunscreen means this foundation won’t interfere with any selfies or photography you may encounter, but it means you’ll need to pair this with a broad spectrum SPF of at least 30 if you plan on using this as your everyday foundation. +++More Info on Jar Packaging: The fact that it’s packaged in a jar means the beneficial ingredients won’t remain stable once it is opened. All plant extracts, vitamins, antioxidants, and other state-of-the-art ingredients break down in the presence of air, so once a jar is opened and lets the air in, these important ingredients begin to deteriorate. Jars also are unsanitary because you’re dipping your fingers into them with each use, adding bacteria, which further deteriorate the beneficial ingredients (Sources: Free Radical Biology and Medicine, September 2007, pages 818–829; Ageing Research Reviews, December 2007, pages 271–288; Dermatologic Therapy, September-October 2007, pages 314–321; International Journal of Pharmaceutics, June 12, 2005, pages 197–203; Pharmaceutical Development and Technology, January 2002, pages 1–32; International Society for Horticultural Science, www.actahort.org/members/showpdf?booknrarnr=778_5; and Beautypackaging.com, and www.beautypackaging.com/articles/2007/03/airless-packaging.php). This entry was posted in Beauty Product Reviews, Foundations and tagged #bblogger, #beauty, #beautyblogger, #budgetbeauty, #budgetbeautyreviews, #COSMETICSREVIEWS, #foundation, #makeup, #makeupreviews, #revlon, #ROTD, #thriftbeauty.